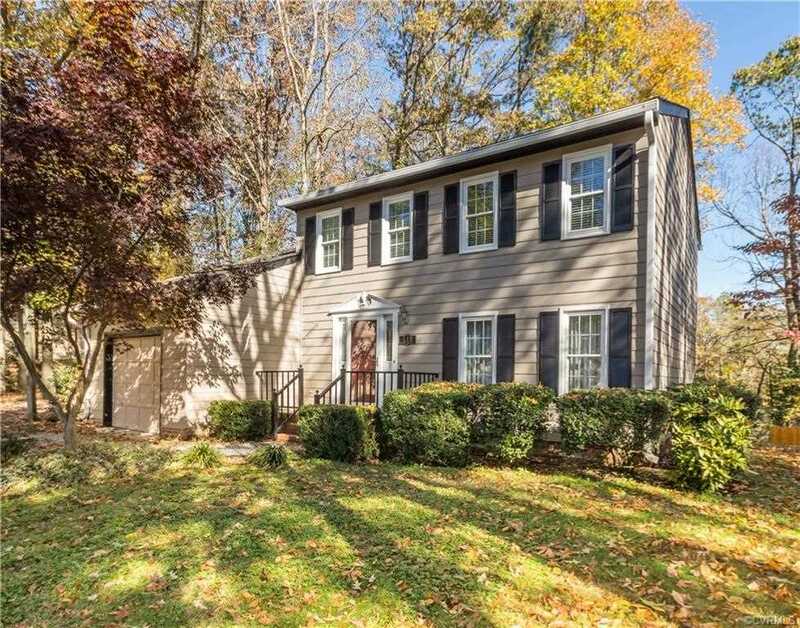 This adorable colonial is in the oasis of Walton Park in Midlothian High School District. First floor offers living room, dining room, family room, kitchen, den/office with outside entrance and powder room. Den/office has closet and could be an ideal teenage or in-law room. Freshly painted and tuned up interior & freshly painted exterior. Kitchen has quartz counter tops and soft close cabinets. Lovely new bamboo flooring in family room. New heating & cooling. New thermostat. Gas fired heat and water heater. Second floor has 3 generous sized bedrooms and 2 full baths (private bath in master bedroom). Replacement windows. Roof is 3 years old. Freshly painted deck. One of the few homes in Walton Park with attached garage! The community pool is a 2 minute walk and Walton Park Drive has sidewalks! Active neighborhood association with planned activities each month. The Tacky Light Fun Run goes right by this home each year! Close to shopping & restaurants. Come on home to Walton Park, fire up the grill and relax on the deck in your large, private back yard. SchoolsClick map icons below to view information for schools near 513 Walton Park Rd Midlothian, VA 23114. Home for sale at 513 Walton Park Rd Midlothian, VA 23114. Description: The home at 513 Walton Park Rd Midlothian, VA 23114 with the MLS Number 1838743 is currently listed at $263,500 and has been on the Midlothian market for 158 days. You are viewing the MLS property details of the home for sale at 513 Walton Park Rd Midlothian, VA 23114, which is located in the Walton Park subdivision, includes 3 bedrooms and 3 bathrooms, and has approximately 1892 sq.ft. of living area.